Early in the noughties when I was able to get out a bit more than I do now, I used to attend an M.E support group once a month, health permitting for all of us. We used to meet for lunch at The Hollybush in Stockton Brook. I'd seen the houses in Regency Drive being built and been curious but never looked until one day I drove past with a friend. "Let's have a look," I suggested and turned into the drive. I absolutely fell in love with them. For those who don't know the area they are four bedroomed executive homes in a select cul-de-sac. I decided if I ever sold a million books I'd buy one. Sadly even if I ever do sell a million books now I wouldn't be well enough to move but I used my dream home as a setting for two of my books - The Author The Gardener and The Woman What Does - and Over A Spitfire II The Sequel. In The Author Staten Bridge is Stockton Brook and Tess' house is in Regency Drive although I don't name it, likewise the same setting for Over A Spitfire II. 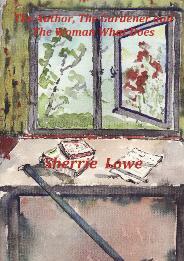 In The Author Dawn Hills is Deep Hayes Country Park adapted a little for my story. I only walked there once when I visited Stanley Head with a school trip so I only had vague memories of it so my description is kind of a mixture of that and Central Forest Park Hanley where I slid down to the lake on my bum once and gave Tess the same embarrassing moment. 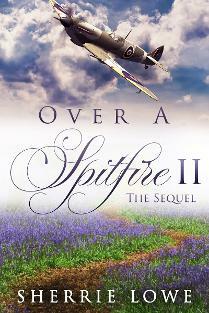 As far as Over A Spitfire II The Sequel goes I would ask please don't read it until you've read Over A Spitfire because it will spoil it completely. The sequel is a little something extra I thought of after I'd published and is very short, only a novella taking us into the lives of the characters where the first book leaves them. 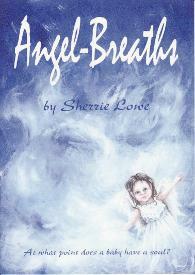 The other novel I used local settings for was Angel Breaths. When my now ex husband and I moved back here from Stockton-on-Tees in the 70s I got a job in Tesco in Old Hall Street Hanley. That was the setting for the supermarket in my book. The car park I spoke of was the staff car park behind the church next door. The hospital where the babies were born was the old maternity block where my own two sons were born. Willow's Dip setting is completely fictitious although I did think maybe Stone area off the A34. My first memoir Shadow Across the Sun is set in Werrington where I grew up but the street names etc were changed slightly to protect privacy. I did have a notion of being the next James Herriot and didn't want it flooded with tourists ha ha. I should be so lucky. Whisper To Me I had in mind a mixture of the area and house where I live and also the ones where I grew up so a bit of a mish mash. However as the story progressed I found myself leaning towards Madeley/Newcastle under Lyme. The garden centre, Heatherleigh Garden Centre I loosely based on Bridgemere Garden Centre. 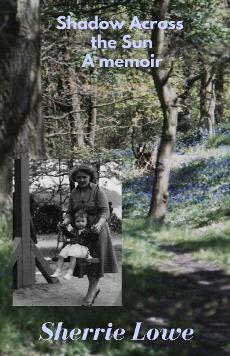 Amerton Farm is in the story as I remembered it from visits when my children were young and updated from visiting their website. Barlaston Downs I've been to many times in the past as a child and adult with my family and my dogs. I hope this gives a little insight into the settings and helps make the stories that bit more enjoyable.